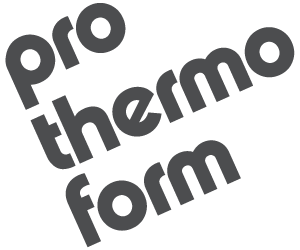 Prothermoform is a special company building a strong foundation based on values and ethical principles. This video shows many different tools & materials that we run on a daily basis. Contact us for additional questions or to arrange a plant tour. Since opening in 2008, Prothermoform has been growing each year with the addition of new equipment and talented personnel - both paramount to our success. Most recently, we added another thermoforming machine capable of forming 6 x 11 feet. We have also expanded our plant again to an impressive 20,000 square feet. Prothermoform is continuously advancing the thermoforming process, with new software, controls and forming techniques. These advancements are critical as new materials with different forming challenges become available. If you have any current or future thermoform or vacuum form projects, we would greatly appreciate an opportunity to quote on your requirements.